Sometimes, even when you make a really great album, have a bit of a marketing budget, get a modicum of radio play and have a label willing to put out three singles it still doesn’t happen for you. 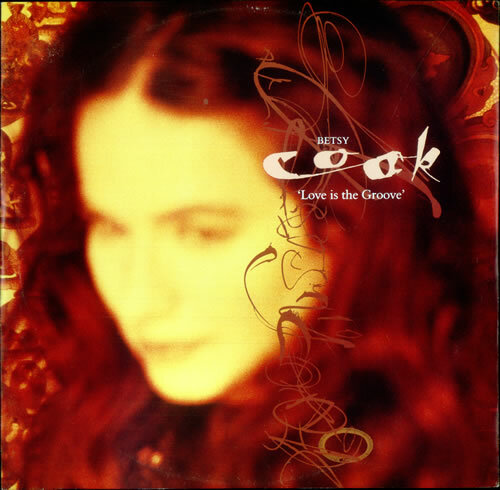 The album in question is Betsy Cook‘s 1992 debut The Girl Who Ate Herself, a record which managed to be just a few years ahead of its time, sonically speaking. Of course what sometimes happens in these situations is that years down the line your album gets mined by other people for cover versions – a form of asset stripping that’s presumably kept Betsy fed and clothed for a while. Here’s the gorgeous first single Love is the Groove. I’ve always been hugely disappointed that Betsy never made another album after this, and she seems to have vanished almost entirely without a trace, save for a few session musician credits on various Trevor Horn productions. Stevie Nicks also pick-pocketed the album, covering Docklands in 1994 to ruinous effect. It would appear that Betsy’s songs are best performed by Betsy. What a shame no-one was listening. Who could sing this today and have a hit? Katy B‘s voice has a nice ring of clarity to it that could maybe do this justice.